Antique chocolate soochow jade is round to 25mm and a carved one, too. "Young" amber, or copal, in two sizes and nearly edible colors. 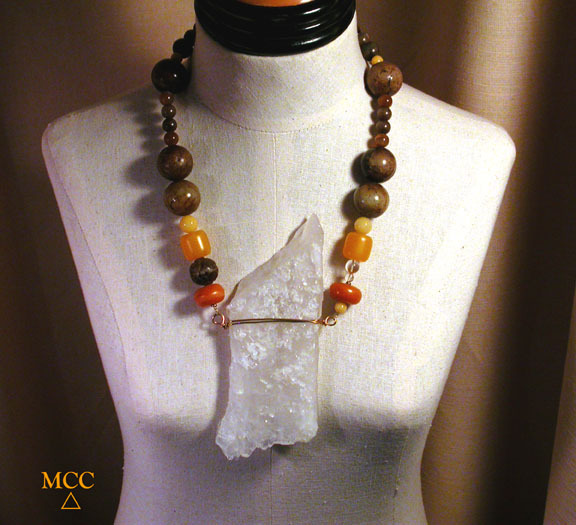 Sun yellow jade and marble, Botswana agates and rock crystal. 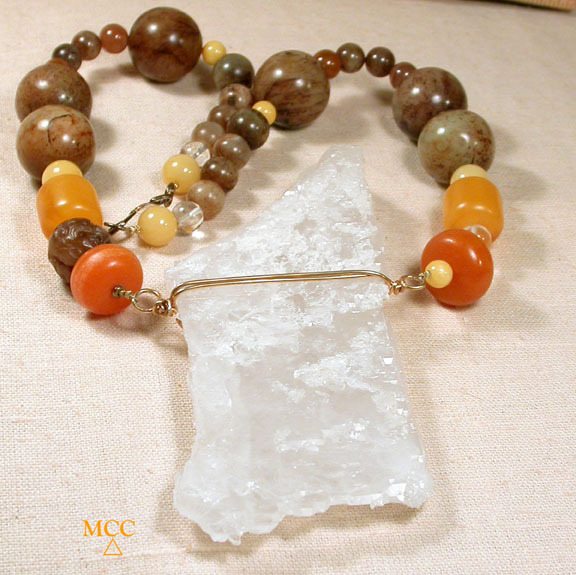 And that WOW Arkansas rock crystal - a 7" tabular - slightly, naturally curved to fit you! It's got multi-rainbows, and multiple tips...divine, communicative, protective, energizing. Antique vermeil hook-and-eye clasp. WOW! is what you'll hear ALL the time! And WOW! is what you'll FEEL, too! 24" with an extra 3" of rock crystal beneath its' wire banding.